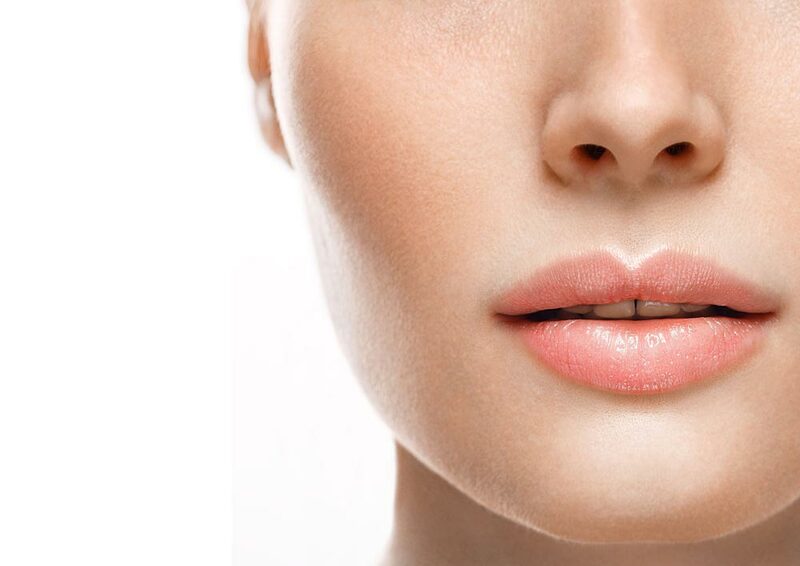 The upper lip lift is an excellent procedure for rejuvenating the area between the nose and mouth and producing a more youthful and feminine upper lip. The procedure consists of removing both skin and muscle immediately below the nose and raising the upper lip. Unlike many surgeons who just excise tissue in a horizontal line below the base of the nose, I extend the incisions within the nostrils and around the outside curvature of the nasal base. This produces a scar that is imperceptible. At the same time it is often possible to rotate the vermilion (red) of the lip to produce a fuller lip with a pout. This is often aided with fat injections at the same time.